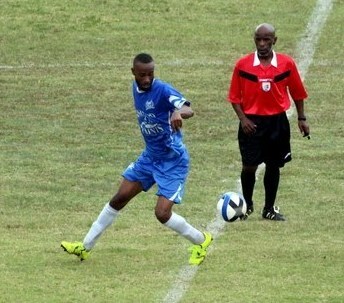 At the Southampton Oval, League Leaders Southampton Rangers outscored the Devonshire Colts 8 – 1, Jarazhino Bassett led the way scoring four times, while Cardel Henry added a hat-trick and Donte Brangman scored the other. Jah-zion Talbot-Thomas scored the lone goal for the Devonshire Colts. At the Wellington Oval, the St. George’s Colts defeated Ireland Rangers 2 – 1, Sage Paynter scored in the opening minute to give St. George’s Colts the lead, but Sekai Proctor would equalize for the Ireland Rangers in the 30th minute. Paynter would score again what would prove to be the winner in the 52nd minute. At Lord’s in St. David’s, Nuno DaSilva gave Vasco the lead in the 40th minute, but five minutes later it was 1 – 1 when Kontai Burton scored for St. David’s. The winner would come in the 70th minute as Stuart Wilson scored for St. David’s. At the Garrison Field, visitors Somerset Eagles defeated Wolves 4 – 1. Anwar Telford would lead the Somerset Eagles to victory with a hat-trick, while Tahj Wade added the other, Lamont Brangman scored the lone goal for Wolves. At the BAA Field visitors Hamilton Parish defeated Flanagan Onions 4 – 3, Hamilton Parish got two goals from Shayne Hollis, while Chris Caisey and Jordon Burgess added a goal each, while the Flanagan Onions got single strikes from Anthony Rocker, Markez Laws and Callon Burns. At the Garrison Field, Robin Hood defeated X-Road’s 2 – 1, Antwan Russell would give Robin Hood the lead after he was brought down in the box and converted from the spot, Shakir Smith doubled the Robin Hood lead, but Donavan Thompson would pull a goal back but they ran out of time looking for the equalizer. After a scoreless first half at the Southampton Oval, Cecoy Robinson would score the PHC Zebras winner in stoppage time from close range to earn them the 1 – 0 win over the Paget Lions and the league Lead. At the Somerset Cricket Club, the Somerset Trojans and the Dandy town Hornets played to a 2 – 2 draw. The Dandy Town Hornets got goals from Kwame Steede and Angelo Simmons, while the Somerset Trojans got an own goal and a Trevin Ming goal as they pick up only their second point of the season. At Lord’s in St. David’s, the Boulevard Blazers held a 3 – 0 lead after 30 minutes, but the North Village Rams would fight back to draw the match at 3 – 3. The Boulevard Blazers got two goals from Ian Coke and a single strike from Khiry Easton, while the North Village Rams would get goals from Jonathan Briers, Che'kai Caisey and an own goal to complete the comeback.